Drill America high-speed steel bridge reamer used to align existing holes prior to bolt or rivet installation. Point is tapered to permit entry into overlapping holes. Three symmetrically placed flats on shank provide positive grip in portable electric and pneumatic tools. 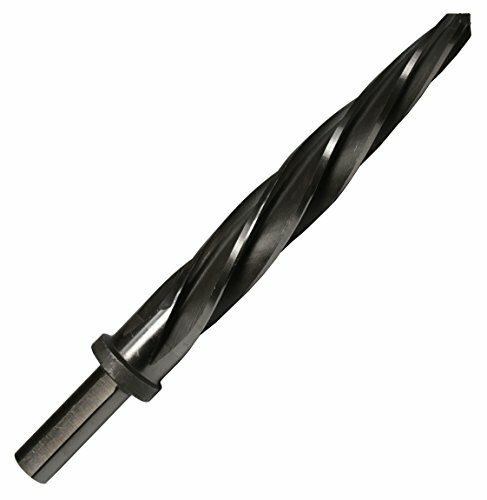 High-speed steel tools are good for most general purpose applications, offering a combination of hardness and toughness for wear resistance. Uncoated tools feature just the base substrate without any additional treatment or coatings and are suitable for a wide range of applications. Round shanks allow use with a wide variety of toolholding systems. When run in a counterclockwise direction (right-hand cut) spiral fluted tools evacuate chips up and out of the cut to reduce clogging. Used to align existing holes prior to bolt or rivet installation.